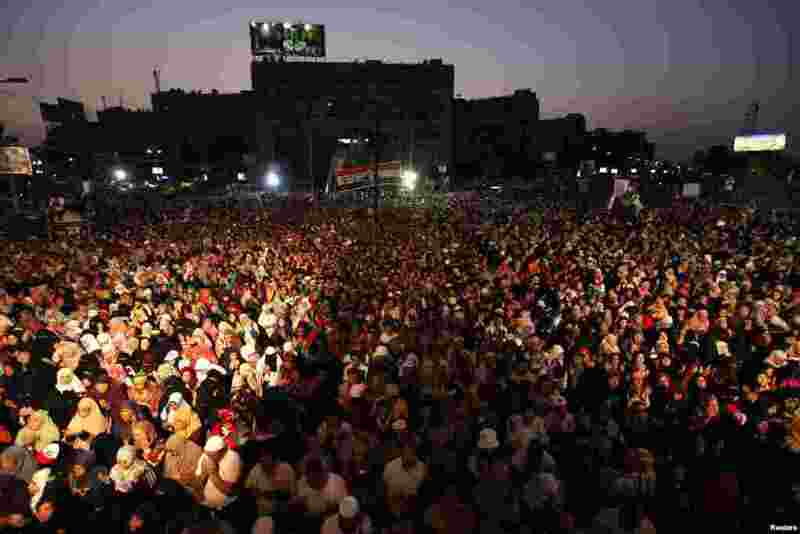 Supporters and opponents of ousted Egyptian President Mohamed Morsi staged massive protests Sunday. 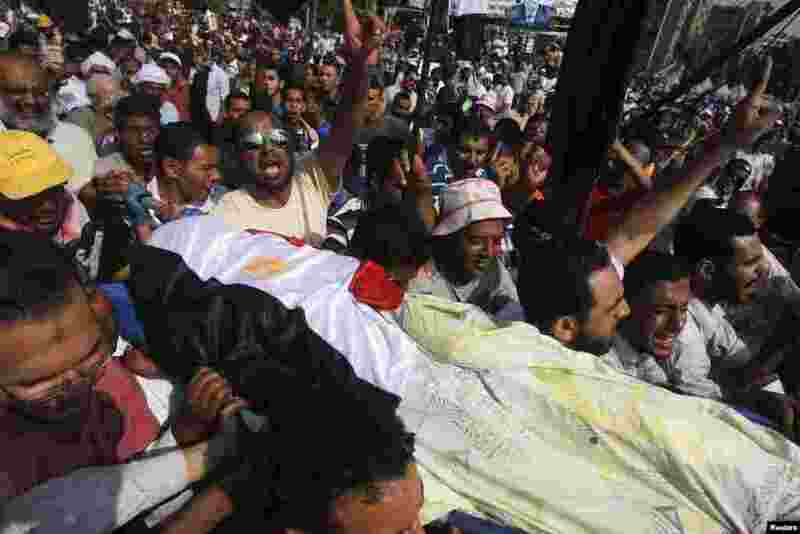 1 Supporters of Egypt's deposed President Mohamed Morsi carry the body of a fellow supporter killed outside the Republican Guard headquarters in Cairo, July 8, 2013. 2 A wounded supporter of deposed Egyptian President Mohamed Morsi lies at a private hospital in Cairo, July 8, 2013. 3 Supporters of deposed Egyptian President Mohamed Morsi attend a protest outside a military building where he is belived to be detained in Cairo, July 7, 2013. 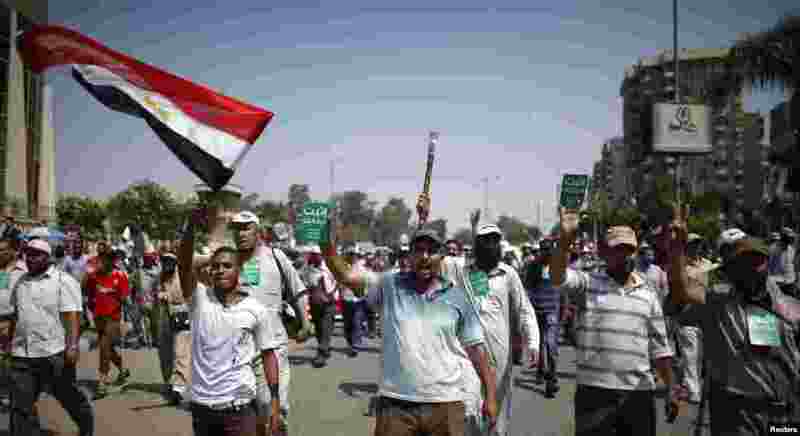 4 Supporters of ousted Egyptian President Mohamed Morsi march to the Republican Guards headquarters where they believe he is being held by the army, Cairo, July 7, 2013.